The second edition of the Indian Food Festival was organized at the Embassy of India, Berlin on Sunday, June 10, 2018. Following the enthusiastic participation by Indian Community Associations and members of the Indian Diaspora in Berlin and Berliners at the First Indian Food Festival held in October 2017, the Food Festival held today provided yet another opportunity to enjoy not only a variety of Indian cuisine from different states and regions of India but also to experience the cultural richness of Indian performing arts. Distributed across 12 Stalls were the choicest delicacies, from the slow-cooked and richly spiced biriyani to the savoury and tangy street food from states across India such as Gujarat, Tamil Nadu, Kerala, Nagaland, Manipur, Assam and West Bengal among others. More than 3,000 people visited the Food Festival and enjoyed the Cuisine and the accompanying cultural performances. 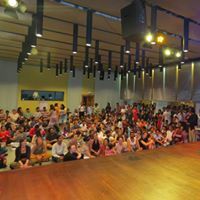 The Food Festival is an initiative to bring together not only Germans but also members of the local Indian Community, and friends of India in a celebration of the richness and diversity of Indian culinary and cultural experience. 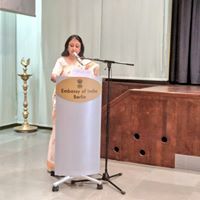 The occasion also saw the inauguration of the Photography Exhibition on “India @70: Monuments, Nature and Wildlife of India” by children dressed in different regional attire of India and Ambassador of India to Germany Mrs Mukta Dutta Tomar. 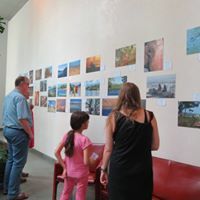 The Exhibition is open for public viewing now. Winners of the Photography Competition and of an online quiz competition on the “Champaran Satyagraha” were felicitated by Ambassador Mrs. Mukta Dutta Tomar. 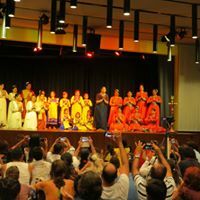 The cultural performances at the Festival featured Indian classical and contemporary music and dance and yoga by artists as well as by the members of the Indian Diaspora. 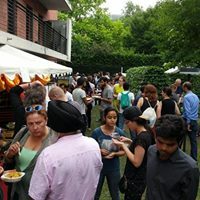 The Food Festival served to strengthen the connect between Berliners, the Indian Diaspora, Friends of India and the Embassy. For the Indian Diaspora, the occasion was truly in keeping with the spirit of our motto, “Indian Embassy: Home away from Home”. The Embassy is now preparing for the 4th International Day of Yoga which will be held on Thursday, 21 June 2018, at Alexanderplatz from 1700-2000 hours and invites all to join the free yoga sessions. Detailed information is attached.